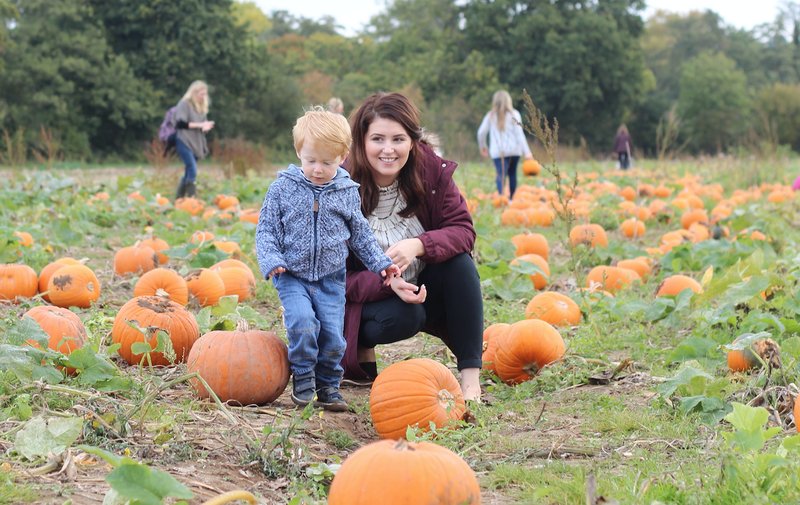 We love to spend time outdoors as a family and visiting the pumpkin patch is fast becoming a tradition of ours. I always considered Halloween as an American holiday that wouldn't pick up in the UK, but I am so pleased to see that it is becoming more mainstream over here. We took Oliver pumpkin picking last October but he was a little too young to get involved being only 10 months old at the time. This year he was in his element, he loved racing around shouting 'mumpkin' (he hasn't quite mastered the 'P' pronunciation) and helping us pick the best one. We ended up settling on one large pumpkin for carving and a smaller one for Oliver. As Oliver is still a little too small for actual carving, I thought he could paint and use glitter to decorate his pumpkin. If you haven't taken your children to a pumpkin patch before I would highly recommend it. It's such a fun and inexpensive day out, best of all the pumpkin you pick gets to come home with you to carve or decorate. So a 2 for the price of 1 activity, which is great for those of us looking to have family fun on a budget!